More than just a pretty face!! 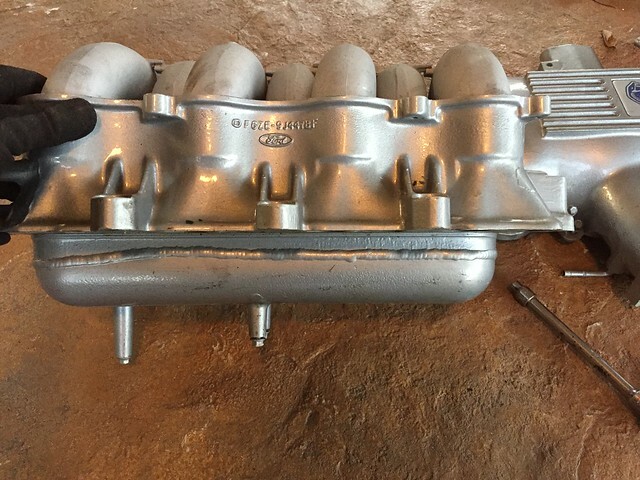 Took a chance on another intake manifold that I happened to find on craigslist. 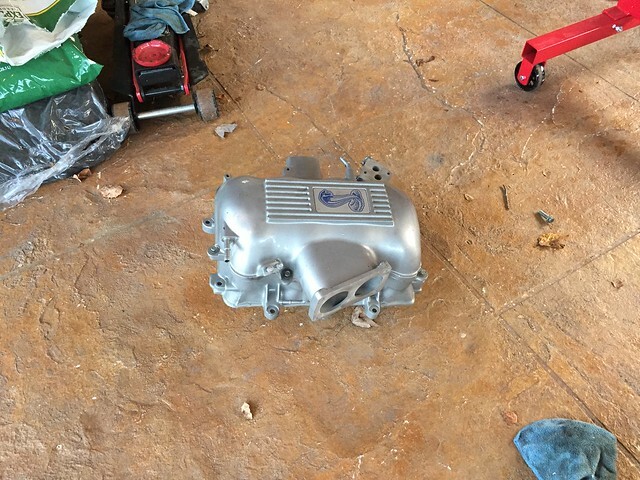 The guy got it from a buddy with the intention to swap his 4.6 2V to a 4V. 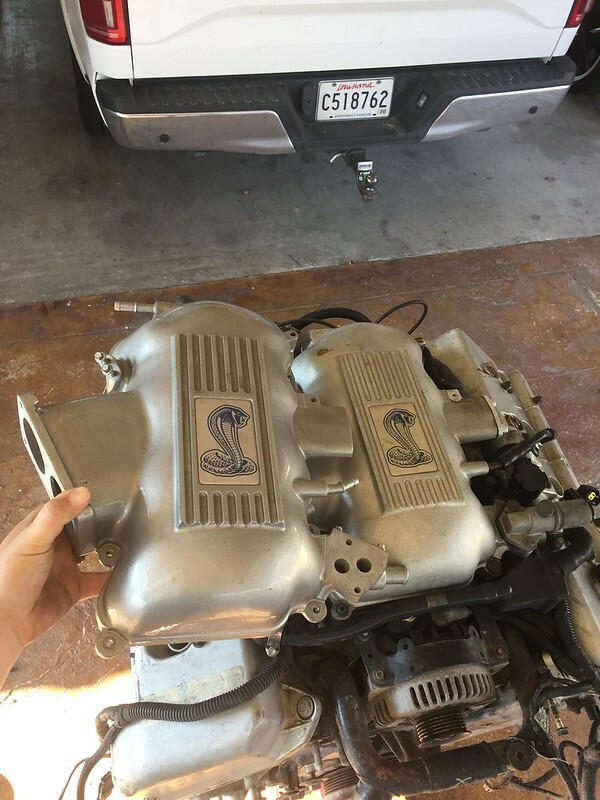 He lost interest, sold the car and listed the intake. He asked $65 and I happily agreed. As you can see, it has been painted and thoroughly cleaned. What I didn’t know until closer inspection at home was the fact someone cut the bottom off at some point and welded it back together. 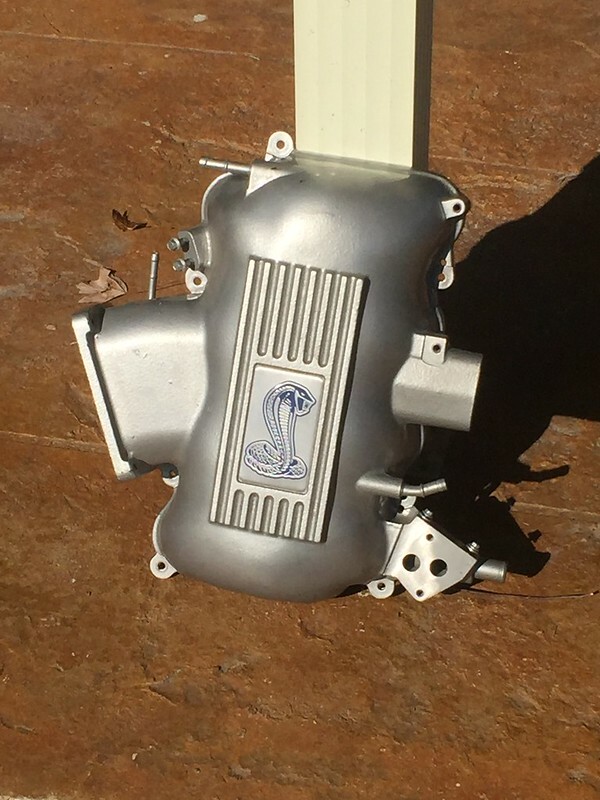 As it turns out, someone had shortened the intake runners by 1.75″!! For those who don’t know, that job will set you back roughly $700. What does this mean? This results in meaningful horsepower gains in the upper RPM range with a slight loss in low speed torque. This can be remedied with a steeper rear gear but that won’t be decided until after I drive it. Most people with similar modifications report rear wheel horsepower levels in the 285-305 range. Next PostNext Meaningful modular modifications!